This happened last night at work, and the Internet needed to see it! 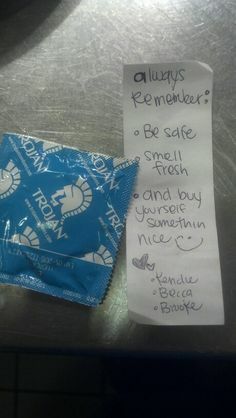 Some college students left this and five bucks for the server. The kids are doing okay, guys.